It predates Netflix binging, appointment television, and “TV too good for TV.” Arguably, the nearest precedent for Krzysztof Kieslowski’s ten-part mini-series broadly inspired by the Ten Commandments would be Rainer Werner Fassbinder’s epic Berlin Alexanderplatz—auteur filmmaking applied to the television serial format—but the thematic and narrative similarities are few and far between. Using the residents of a grim Panelak-style Communist housing complex, Kieslwoski and co-screenwriter Krzysztof Piesiewicz pose many thorny moral questions, but offer few answers in the digitally restored Dekalog (trailer here), which screens theatrically in two-hour, two-episode installments, starting this Friday in New York. Do not try to apply one-to-one symmetry between the Commandments and the Dekalogs. Neither were written for the sake of such comparisons. You could argue the Commandments are all present in each Dekalog, but some are always more pronounced. Nobody understood better than Piesiewicz the damage Communism inflicted on the Polish soul, but neither free-thinking Krzysztof was really interested in making political statements by the late 1980s. Instead, Dekalog is an examination of the national conscience. Yet, it is hard to overlook the rationing and Spartan living standards produced by Socialism. Although the computer technology depicted in Dekalog: One now looks prehistoric, it is arguably as timely today as it was in 1988. Widely thought to directly address the First Commandments (no false gods), a professor who venerates science employs mathematical formulas and computer models to determine when the lake will be sufficiently frozen for his son to use his new ice-skates. Like many Dekalogs, it is a tragedy. While it is unusually explicit in its religious symbolism, Dekalog: One establishes the dark look and ambiguous tone that hold relatively consistent throughout the series/film. It also introduces Artur Barciś playing an unnamed watcher-bystander, who briefly appears in seven more Dekalogs (he was also supposed to have a walk-on in Dekalog: Seven, but production snafus conspired against it). All Dekalogs are created equal, but Dekalog: Two is more equal than others. For one thing, it will be referenced in detail several times during Dekalog: Eight. It is also distinguished by the presence of Krystyna Janda (arguably the most important screen actor of the late 1970s and early 1980s, known for Wajda masterworks, like Man of Marble, Man of Iron, and Without Anesthesia) as Dorota Geller, an orchestra musician with a dilemma. She is still devoted to her comatose husband, but she is pregnant with another man’s baby. As fate dictates, the chief attending physician is also a resident of the complex. She will repeatedly press the doctor for a hard and fast prognosis, so she can determine whether she can keep the baby or have an abortion for her husband’s sake. Critics try to force Dekalog: Two into the Second Commandment, regarding taking the Lord’s name in vain, you can find plenty to apply to the Commandments prohibiting adultery and murder. Dekalog: Three might be the most self-contained, chronicling a family man’s chaotic Christmas Eve, as a former married lover drags him across the city, ostensibly in search of her suicidal husband. Arguably, it represents Kieslowski’s only traditional car chase, yet it is still completely in keeping with the rest of the Dekalog. Believe it or not, this is thought to relate to Sabbath-keeping, but again, the adultery Commandment seems more apt—not that it really matters. In contrast, Dekalog: Four is probably as edgy as the series gets, focusing on a father-daughter relationship that inevitably takes on provocative overtones when she discovers he is not her biological parent. Similarly, Dekalog: Five is easily the most violent installment, revolving around the senseless impulse-murder of a cab driver. Kielsowski and Pieslowski would return to its heavy themes of crime, punishment, and remorse, expanding the story into the full feature, A Short Film About Killing. Dekalog: Six was similarly expanded into A Short Film About Love. It could well be the most divisive Dekalog, but reaction to the tale of a woman who turns the tables on her Peeping Tom more severely than she intended should not simply cleave along gender lines. Be that as it may, as the alluring, somewhat older Magda and the socially stunted Tomek, Grazyna Szapolowska and Olaf Lubaszenko give two of Dekalog’s most indelible performances. Dekalog: Seven might be the weakest link, not merely due to Barciś’s absence, but also as a result of some problematic motivations. The clearly unstable Majka has kidnapped her young sister, Ania, who is really the daughter she was forced to relinquish to her disdainful mother to avoid the stigma of scandal. She now intends to reclaim her maternal role in Canada, but of course it will not be so simple. Fittingly, Dekalog: Eight ranks alongside Dekalog: Two as series high points. Dorota Geller’s story is duly related in the ethics class of Zofia, a spry philosophy professor and a widely respected veteran of the Polish Resistance. Elżbieta, a visiting American academic is also sitting in today. Unbeknownst to Zofia, her guest is a Holocaust survivor, whom she once encountered under very complicated circumstances. 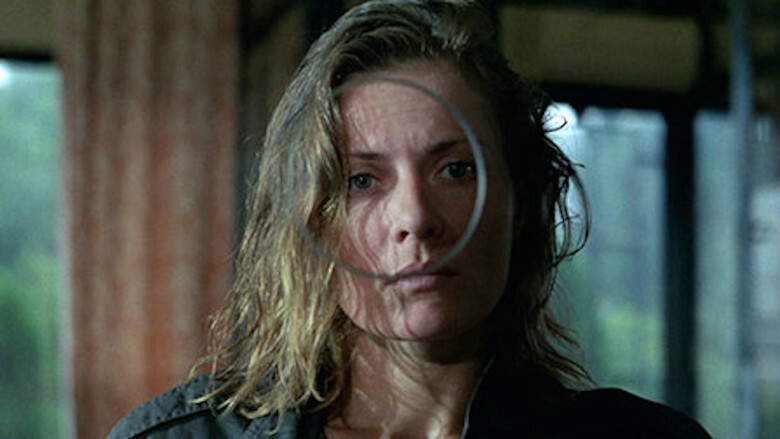 Ironically, the narrative of Dekalog: Nine feels familiar, but it is actually a tangential supporting character that inspired yet another film (in this case, the flat-out masterpiece, The Double Life of Veronique). Granted, this tale of a man freshly diagnosed with impotency who becomes obsessively jealous of his attractive wife has its analogs, but the execution is remarkably powerful. Happily, Dekalog: Ten maintains the project’s high standards. Appropriately, it also calls back to Dekalog: Eight. Kieslowski regular Jerzy Stuhr (The Scar, Camera Buff, Blind Chance) and Zbigniew Zamachowski play the staid middle aged and younger punk rocker sons of a recently deceased absentee father. In addition to his debts, they also inherit a shockingly valuable stamp collection. Inevitably, this leads to paranoia, which might not be so unfounded. Familiar faces will reappear, but unlike subsequent braided narratives, Kieslwoski and Piesiewicz are not obsessively concerned with the interrelatedness of their major and minor characters. Still, there is an awful lot to observe and absorb in Dekalog. In all honesty, it represents quite a challenge for programmers. It is too heavy to binge-watch. Indeed, each Dekalog really demands time to decompress. Yet, all ten should ideally be seen in close succession. The IFC strategy of screening two-Dekalog blocks over five weeks is probably as good as any and better than most. Regardless, it is a towering achievement and a deeply challenging moral and aesthetic statement. 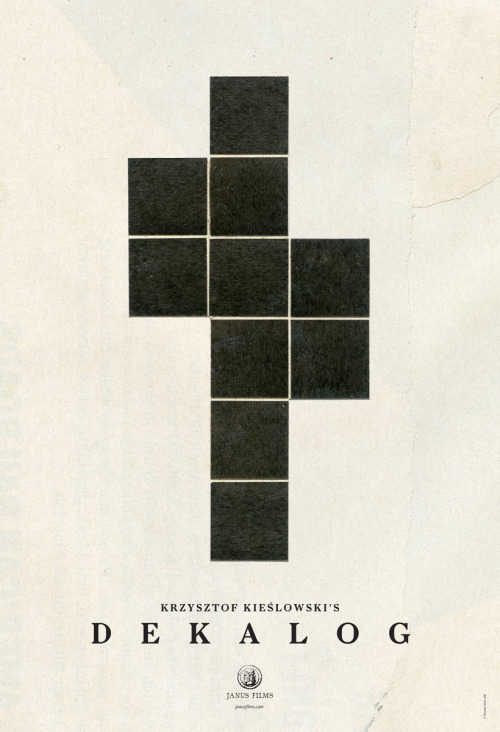 Very highly recommended, Kieslowski’s Dekalog commences this Friday (9/2) in New York, at the IFC Center.